It’s well established that consumers trust recommendations from their friends, family and peers more than they trust businesses – and so inspiring advocacy in customers has long been a major preoccupation for marketers. Recent research by Global Web Index (GWI) uncovered several interesting insights about the factors that drive brand advocacy, focusing specifically on affluent consumers (defined as internet users aged 16-64 that fall into the upper quintile of GWI’s social grading segmentation). The research found that direct communication from brands is very important to this audience: around 15% have interacted with a brand on a messaging app in the last month and 17% have used a company’s website live chat in the same period. Given this desire among affluent consumers to speak directly to the companies they do business with, it’s unsurprising that over a third (37%) said they would promote a brand that had provided them with great customer service. In addition, 23% said they would be more likely to promote a brand if they were given ‘insider knowledge’ about the company or its products, while 20% would do so if given access to exclusive content or services. So, what are the key takeaways from this research for retailers looking to convert casual shoppers into vocal brand champions? Although potentially resource-intensive to maintain, website live chat functionality can be very beneficial to both consumers and brands – providing fast responses to user queries, and thereby delivering a better experience to the customer, while also increasing the likelihood of conversion and repeat visits. A recent study by communications platform Twilio revealed that 66% of people want to communicate with brands via online and in-app messaging. Despite this, a separate study by Sprout Social found that almost 90% of messages to brands that require a response are ignored, with an average wait of 10 hours for those that do get a reply – even though consumers expect a reply within four. To combat this issue, many retailers are investing in AI and chatbots – an obvious answer to the problems of limited human capacity and opening hours. However, it’s worth noting that such bots should be carefully managed if they are to work successfully. Chatbots should be programmed such that they reflect the brand’s tone of voice and identity, whilst also being transparently signposted, so that customers are aware that they’re interacting with a piece of technology rather than a human, avoiding any confusion or annoyance. In cases where a customer asks a complex question that requires flexibility or judgement, bots should also be able to recognise this, and then refer the customer to an alternative manned customer service channel. Every single touch point and interaction contributes to a customer’s overall experience of a brand, and this of course includes the content that they view when shopping online. It’s for this reason that retailers need to invest just as fully in the quality of their pre-purchase website content as they do in their ‘hero’ marketing activities and advertising campaigns. Ultimately, even if a web user’s attention is captured by a piece of engaging advertising, they’re unlikely to make a purchase – and to make a repeat visit and become a brand advocate – if they have a poor experience on the ecommerce store itself, for example with a confusing navigation structure, lack of mobile optimisation or shoddy product information. In fact, according to Nielsen Norman Group, one in five customers who fail to make an online purchase blame incomplete product information. So, it’s absolutely critical that product descriptions are detailed, accurate and on-brand, and that retailers offer advice in the form of buying and how-to guides, to help their customers make informed purchase decisions. 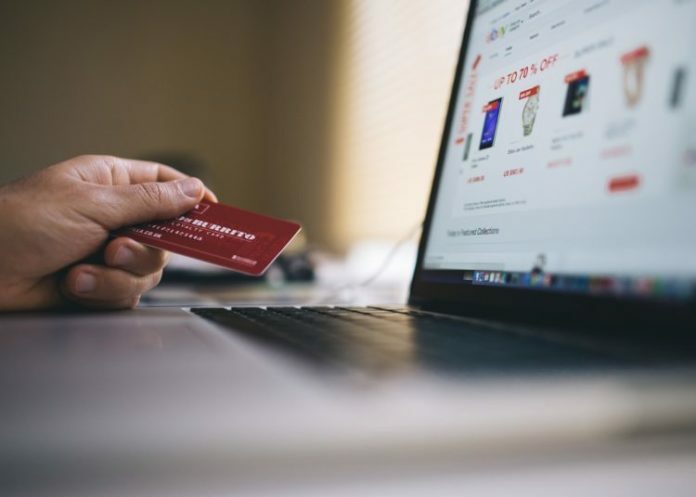 A Quill survey of 100 UK consumers revealed that 22% of shoppers would be more likely to buy an item from an online retailer if it offered helpful how-to guides, while 36% consider retailers that offer useful product advice to be more trustworthy. As the GWI research shows, affluent consumers in particular are more likely to recommend brands with which they feel they have an exclusive or personal connection. To tap into this preference and promote advocacy, retailers should therefore consider how they can offer personalised experiences and content to their customers both on and offline – an area where behavioural data becomes invaluable. Some retailers – notably, Amazon – have been offering personalised product recommendations based on customer purchase and browsing data for quite some time, but in the future we’re likely to see personalisation become a more fundamental feature of the purchase journey, incorporating personalised page design and content elements. Offline (and particularly in the context of high street transformation), we’re likely to see an increase in exclusive in-store events and experiences designed to help boost customer loyalty. There is massive value to be gained when your customers genuinely advocate for your business – their authentic opinions will hold greater sway with their personal networks than any form of advertising. Given that consumers increasingly expect tailored, rather than ‘one-size-fits-all’, interactions with brands, the key to unlocking advocacy will lie in delivering a seamless customer experience, across all channels, with personalised content playing a vital role.